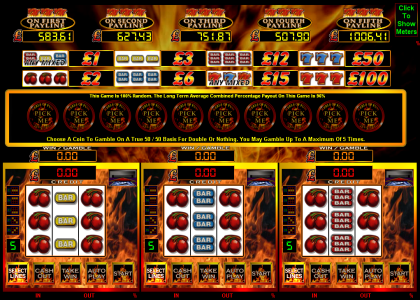 A USA 3 player linked style game with 5 seperate unlimited progressive Jackpots. The long term overall game payout average is 96%. Play 5 winlines for a chance to win 1 of 5 progressives. All wins except a progressive may be gambled on a true 50/50 up to a maximum of five times, for some potentially very big wins. Once payment has been made please request your game code via email to activate your game fully. Game updates and codes are sent out as soon as possible.